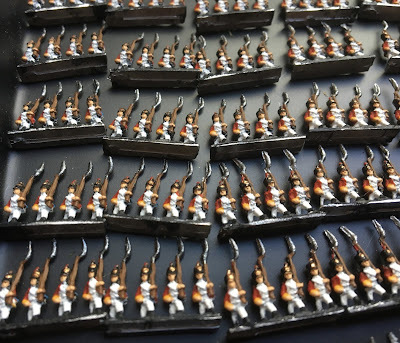 I am not that keen to use my blog to flog things, but there is no real way to post photos of a lot of figures on line especially through TMP. 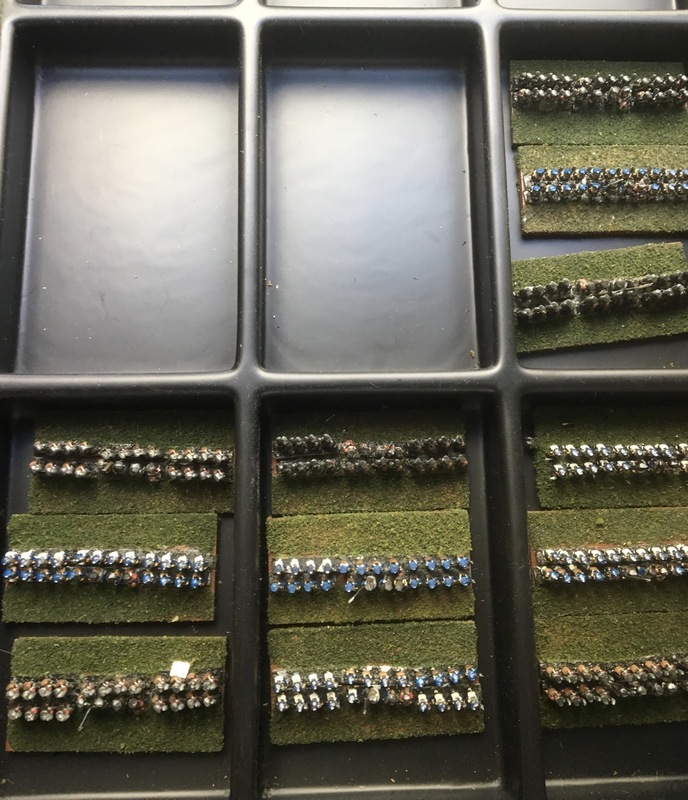 This is one of those hoped for projects that I know is not going anywhere. 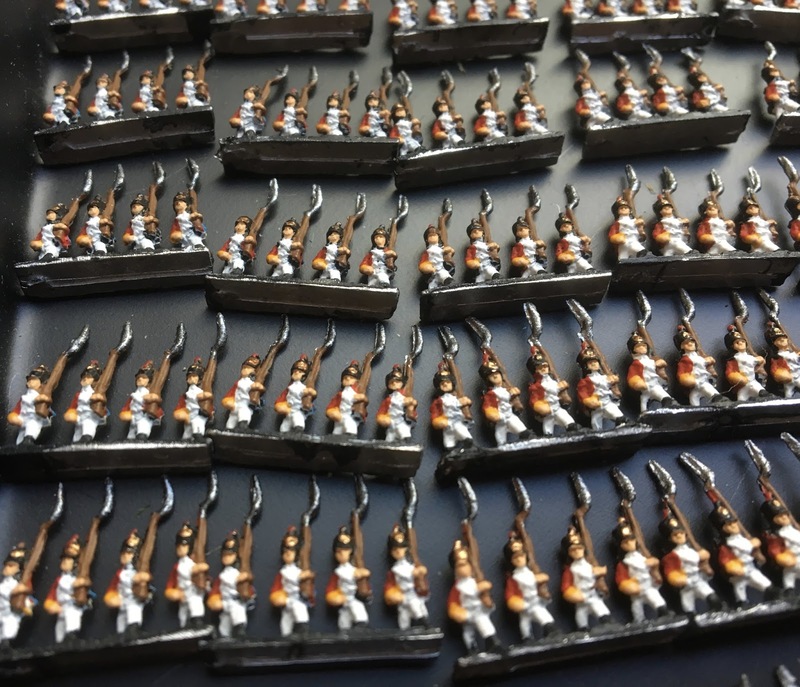 When Blucher came out I thought it would be cool to do some Grand Tactical Napoleonic Gaming. It is still cool, but I just know that I am never going to find the time to play the game or even more difficult to find someone with whom to play the game. 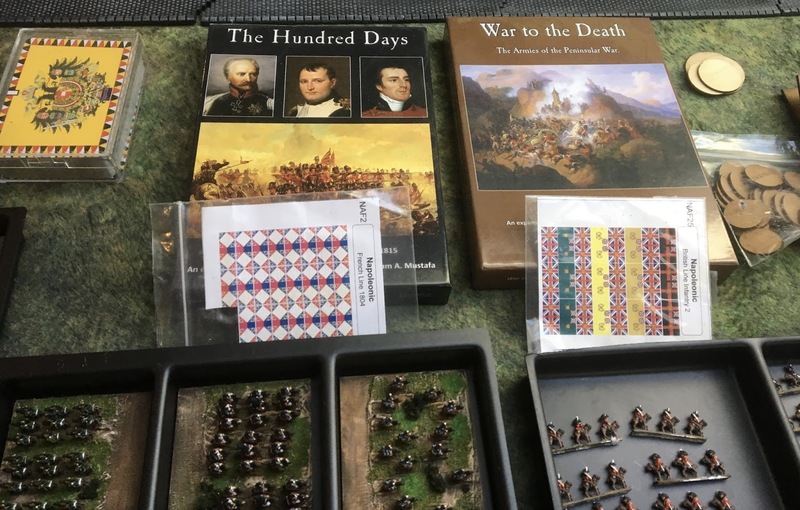 My local gaming club is unlikely to stray far from any games that are not DBA based or from Warlord Games. I feel quite fortunate to find a couple of gamers in the vicinity who like TFL games, SAGA or who are willing to take on something different. 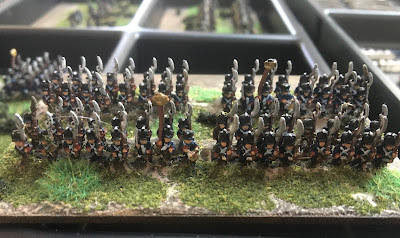 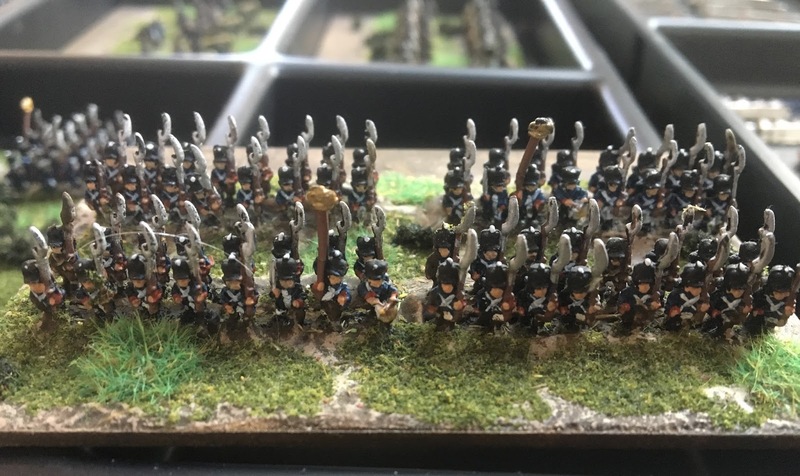 At the time I was flush with cash from the sale of my 28mm army and had some left overs from the purchase of the 18mm AB Napoleonic army. 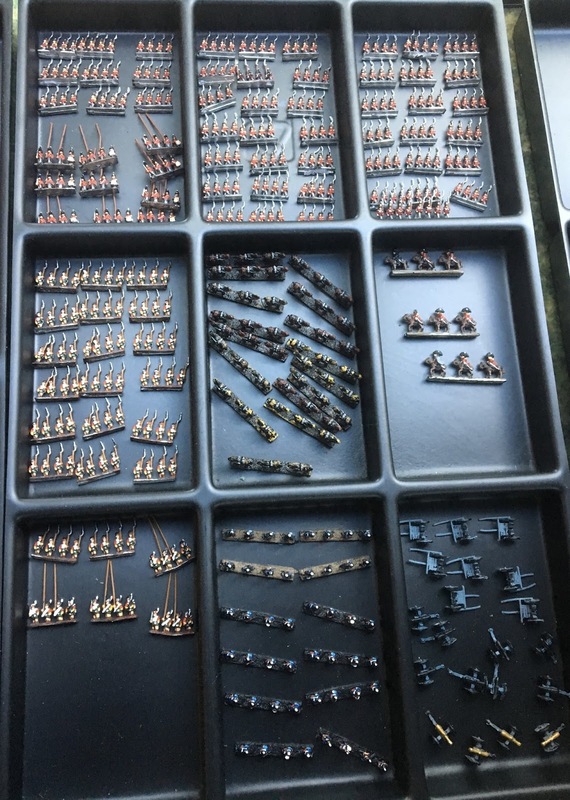 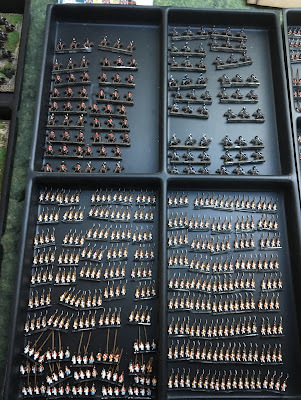 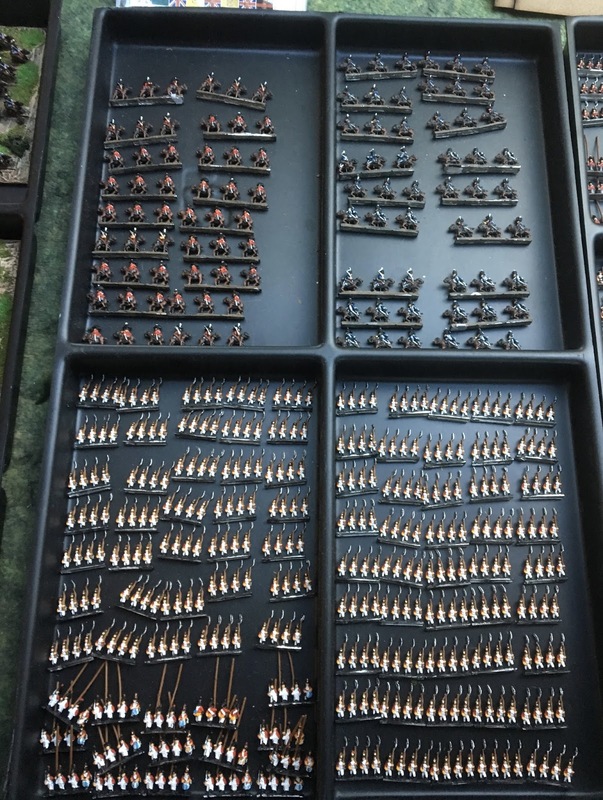 I jumped in with both feet and commissioned two UK based painters to paint both a French and British Baccus army. 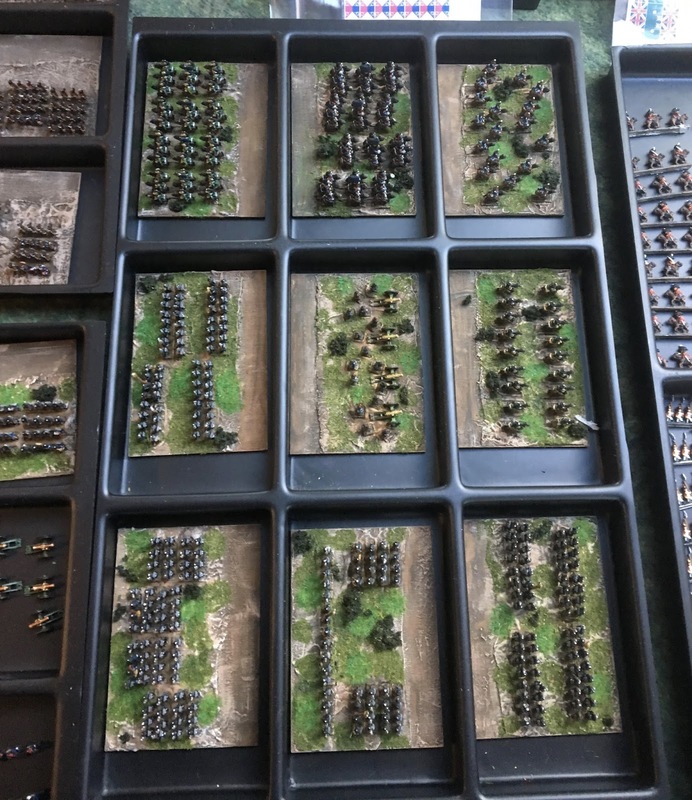 I got the French army based and half the bases terrained except for two bases of artillery. 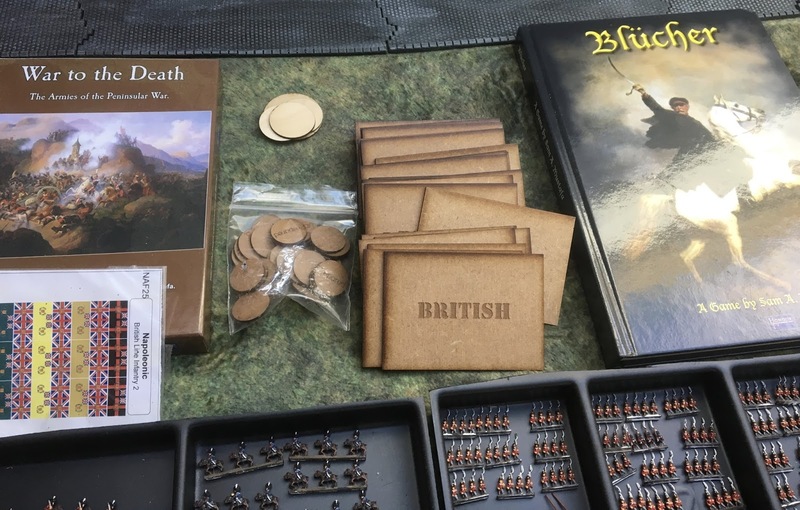 The bases are card sized and are exactly the same sized as the card sets from Blucher. The bases are specialized, I actually have the two card sets (100 days as well as the peninsular set) put out by Sam Mustafa as well as the cards he published through drive thru games which I believe Russians, Austrians, Prussians and Ottomans as well as the Hard Back Rule book. 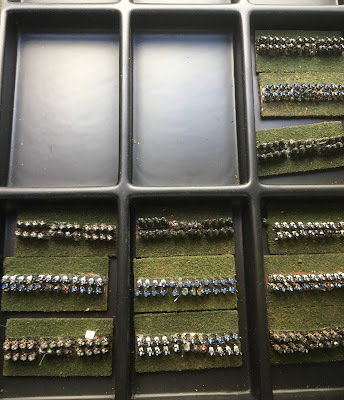 The British are unbased but I have 25 of the same bases for them as well as another 12 bases (small Baccus Bases) of 24 Prussians (at least I think they are) which I bought independently on TMP. There are also some playing aid discs from somewhere or other. 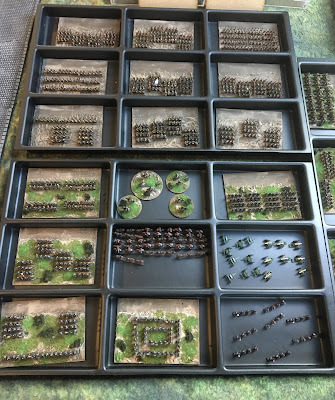 Oh the price, well I must of spend at least $1600 on this not counting the time to base. 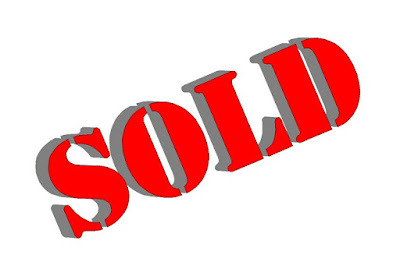 I will sell it for $1000! 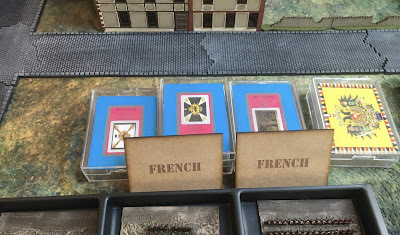 Prussian,Austrian, Russian and Ottoman Card Sets as well as 2 bases required to finish French Army. 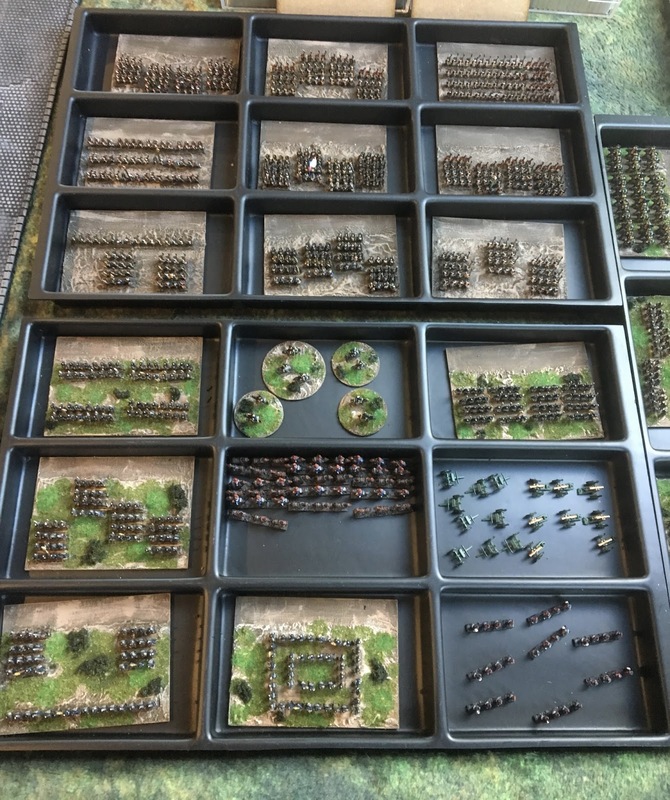 Beautiful armies. 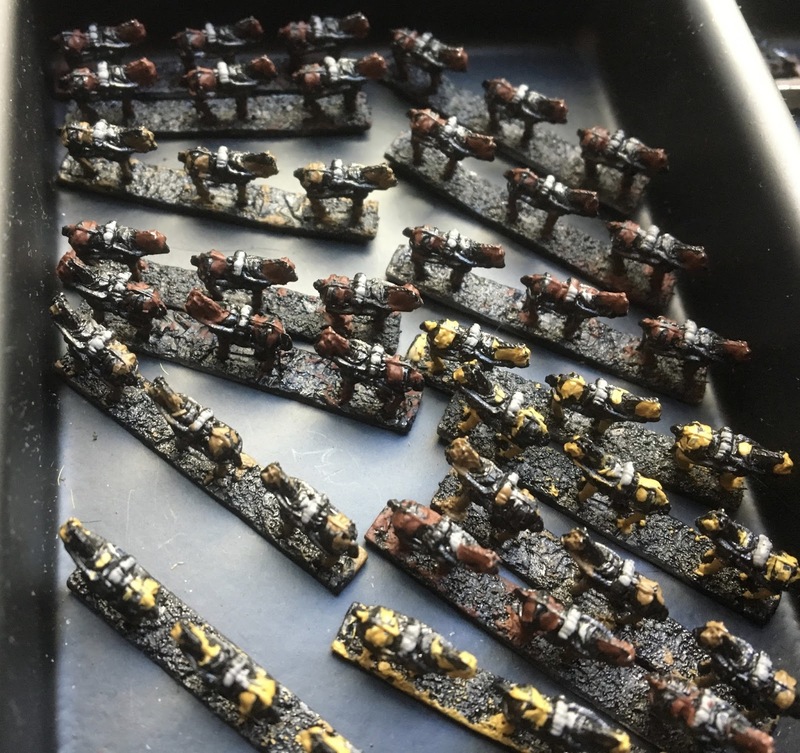 I hope you get a good price for them.